HISTORY | Johnson House Historic Site, Inc. 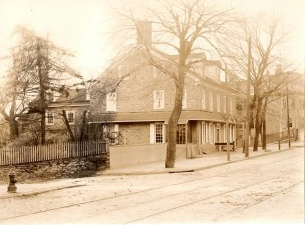 Built in 1768, the Johnson House was one of Germantown’s oldest existing year-round homes. It looks much the same today as it did in 1768. The dark stone, cut and dressed in the front, is native to the area. The Dutch doors are original to the house as is much of the woodwork, flooring, and glass. Domestic objects belonging to the Johnson family are on exhibit throughout our historic site. John Johnson, son of Dutch immigrant Dirk Jansen, built the house as a wedding present for his son John, Jr., and his bride Rachel Livezey. John Johnson, Jr., was a tanner and farmer and operated the tannery business from his home. As Quakers, the Johnsons believed in non-violence. Consequently, while the Battle of Germantown raged outside their front door in October 1777 during the Revolutionary War, the family took refuge in their cellar. When soldiers entered their home to pilfer food from their kitchen, the Johnson’s religious beliefs kept them from defending their property. Scars from the Battle of Germantown are still visible inside the house. The Johnson family owned a substantial amount of land in Germantown and was one of the town’s wealthiest families. They were active supporters of the Concord School; Germantown’s first English-speaking educational institution. 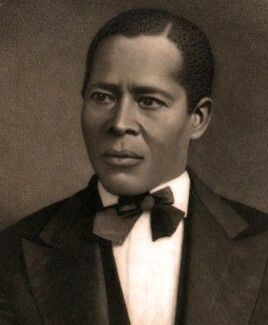 John Johnson’s son, Samuel, was a member of the first school board and the first town council in Germantown. The Concord School, also a historic site, is located across the street from the Johnson House and open to the public for tours by appointment only. When Samuel married in 1805, he moved into the Johnson House with his bride Jennett Rowland Johnson. As did many Quakers, Samuel and Jennett promoted their anti-slavery beliefs by offering their home as a station on the Underground Railroad. They provided sanctuary, food, clothing, and transportation to untold numbers of African freedom seekers. 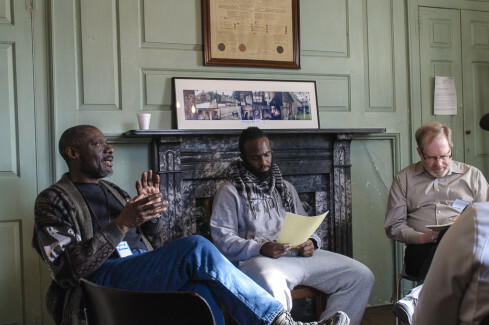 Through research, we know that William Still, prominent abolitionist, Father of the Underground Railroad and secretary of the Philadelphia Anti=slavery Society, participated in “meetings” at Johnson House. 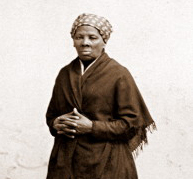 Tradition holds that prominent abolitionist Harriet Tubman visited the Johnson House. Members of the Johnson family owned the property until 1908, after which it was reported that the house may have been slated for demolition. However in 1917, the Germantown Woman’s Club – a community focused group that influenced the social, civic, educational and philanthropic fabric of life in Germantown – purchased the house. The Germantown Woman’s Club made the Johnson House their headquarters and filled it with antiques, furniture, and fine china. In 1919, they built a large assembly hall directly behind the house, which is now the meeting place of the Germantown Mennonite Church. The Germantown Woman’s Club owned the house until 1980, when it disbanded and gifted the house, with all its contents, to the Germantown Mennonite Historic Trust to operate as a house museum. 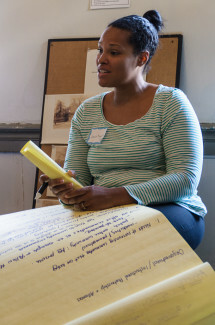 The Johnson House, in collaboration with Cliveden of the National Trust, offered local schools the first program to highlight the role of African Americans in Philadelphia’s history. 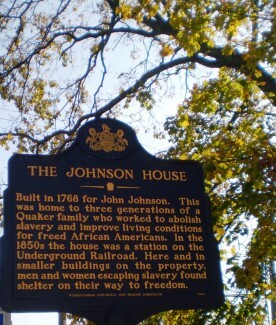 The Pennsylvania Historical and Museum Commission dedicated a Pennsylvania Historic marker to the Johnson House, honoring generations of Johnsons who worked for the abolition of slavery. The U. S. Department of the Interior, through the National Park Service, dedicated the house as a National Historic Landmark. The newly created legal corporation, the Johnson House Historic Site, Inc., assumed administrative responsibility for the house and grounds. Neighboring Cliveden of the National Trust provided mentoring. 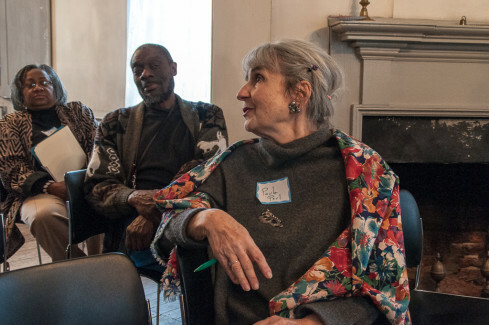 This new cooperative effort offered opportunity for a broader coalition of preservationists, community members, and those interested in multicultural tourism to participate in telling the stories of the site’s role in the abolition of slavery, and as a station on the Underground Railroad. The deed ownership was transferred to the Johnson House Historic Site, Inc., from the Germantown Mennonite Church, which ended the multi-year joint ownership of the property. The Johnson House received the status of “Highly Valued American Historic Site” by the National Park Service when it was awarded a Save America’s Treasure grant.